Hundreds of community members gathered at the high school on Saturday to celebrate the accomplishments of Stillwater area students. 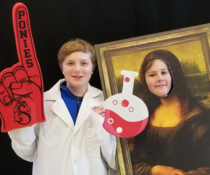 The annual Da Vinci Fest featured student art work, science projects, and much more. See more photos on Facebook. 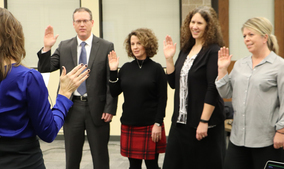 The school board welcomed new members at its organizational meeting on Thursday night. Mark Burns, Liz Weisberg, Shelley Pearson and Tina Riehle received the ceremonial oath of office. New board officers were also elected: Mike Ptacek, chair; Shelley Pearson, vice chair; Sarah Stivland, clerk and Liz Weisberg, treasurer. Read School Board Meeting Notes online. Stillwater Area High School alum Katie Holder (Class of 2012) recently spoke to students about being an Army pilot. Holder graduated from West Point in 2016 in the top of her class in academic and military performance. She is now a Black Hawk helicopter pilot and staff officer stationed at Hunter Army Airfield in Savannah, Georgia. Read more. Stillwater Area High School welcomed back students from the Class of 2018 as part of its 11th Annual Alumni Day. 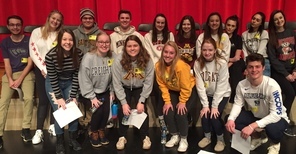 Sixteen recent graduates were invited by the counseling department to speak to current SAHS students about college life. The alumni were eager to share their experiences about freshman year. They offered advice about applying, preparing and transitioning to college. They answered questions about what it's like to move away from home and be on your own. They also talked about the importance of time management, studying and getting involved in school. Join us on Saturday, February 9, 2019 at The Grand Banquet Hall in Stillwater for a family-friendly evening of dinner and dancing for a cause! Hosted by the Stillwater Retired Educators Association, the proceeds from the Sweetheart Ball will go to the Stillwater Area Schools Safety Fund, which will help enhance security of our school buildings. Learn more and save your seat online. The school board will hold a work session on Friday, Jan. 11 from 1‐ 4 p.m. to discuss budget adjustments. The work session will be held at the Oak Park Building. See the official notice.